Lee & Low Books, 9781620141922, 32pp. Mei Mei's grandpa is practicing tai chi in the garden, and Mei Mei is eager to join in. As Gong Gong tries to teach her the slow, graceful movements, Mei Mei enthusiastically does them with her own flair. Then Mei Mei takes a turn, trying to teach Gong Gong the yoga she learned in school. 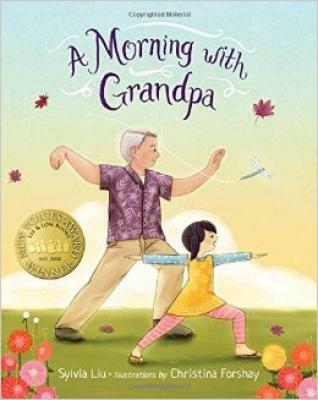 Will Gong Gong be able to master the stretchy, bendy poses?Winner of Lee & Low's New Voices Award, A Morning with Grandpa celebrates, with lively spirit and humor, the special bond between grandparent and grandchild and the joy of learning new things together. Readers of all ages will want to try out some tai chi and yoga too.